Our partnership with some of the UK’s leading office furniture manufacturers means our projects are delivered on time and on budget. Your business is unique, which is why we will listen and learn to the way you work, and deliver a tailor-made office furniture solution. Modern Office understand that creating the appropriate working environment can make a big difference to your corporate image and how this can influence the way employees, suppliers and customers view and work in your company. Using our extensive knowledge and experience we plan, design and build the office environment that suits your image and people. Our approach is professional, yet informal, and we believe that our success is a result of listening to our customers’ needs and taking the time to get to know their business in order to deliver the ideal office that exceeds customer expectations. 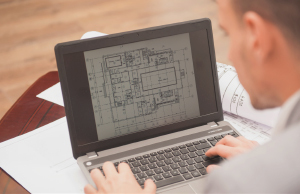 We create a 2D or 3D plan of your office using our highly technical CAD software. 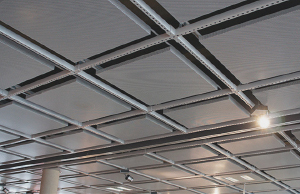 Transform your office and enhance your space with an innovative ceiling design. 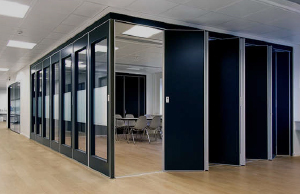 Divide the workplace, instil privacy or create new zones with our custom partitions. 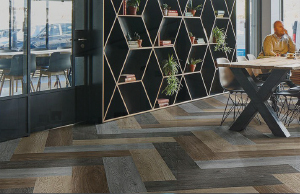 Generate a larger work area new atmosphere with our concept aided flooring solutions. 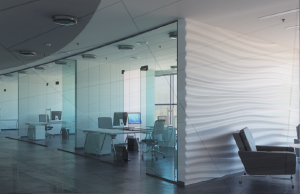 Function your walls to create an open plan sensation or create a cosy office atmosphere. Whatever the shape, size or functionality of your window, our blinds are tailored to your needs. 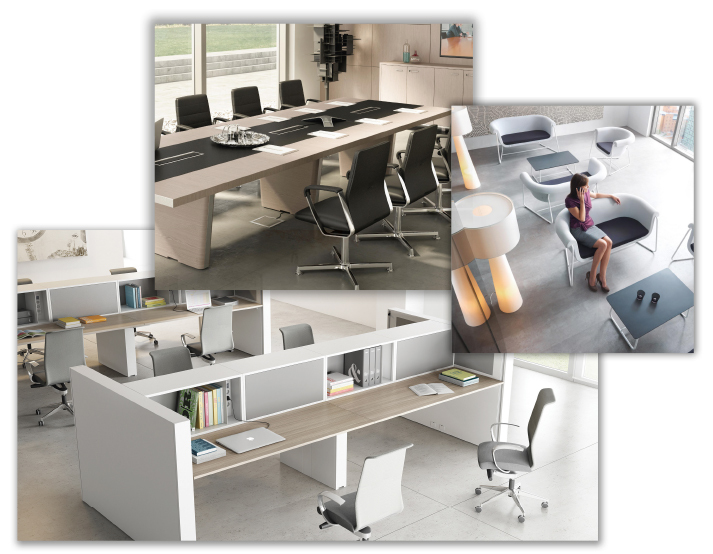 “We have used Modern Office as our preferred supplier of office furniture for a number of years. “From the very first contact, we found Modern Office to be highly professional, friendly and most importantly fully knowledgeable of their entire product range. We would highly recommend their services to any company looking to relocate or enhance their current office environment”. Having initially engaged another company to quote for new furniture for my office and finding that the standard of their recommendations didn’t meet my brief at all, it was like a breath of fresh air dealing with Steve at Modern Office. He came to see us at short notice and really listened to what I wanted which meant that any of the choices he gave us would have been suitable. I am delighted with the look and the quality of the furniture I chose and it regularly draws comment from clients. Thanks again Steve (and Lee the delivery guy).